A highly skilled midfielder who is strong overhead and dangerous around goal. 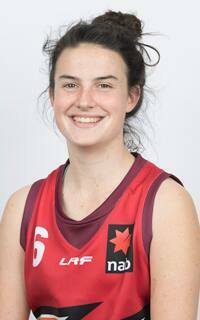 Jones is a talented basketballer who turned down a college scholarship in America to focus on her AFL Women’s draft dreams. A standout at this year’s Under-18 National Championships for the Allies under the guidance of Crows AFLW premiership coach Bec Goddard. Tenacious, tough and a natural leader with all the tools to shine in the AFL Women’s competition.